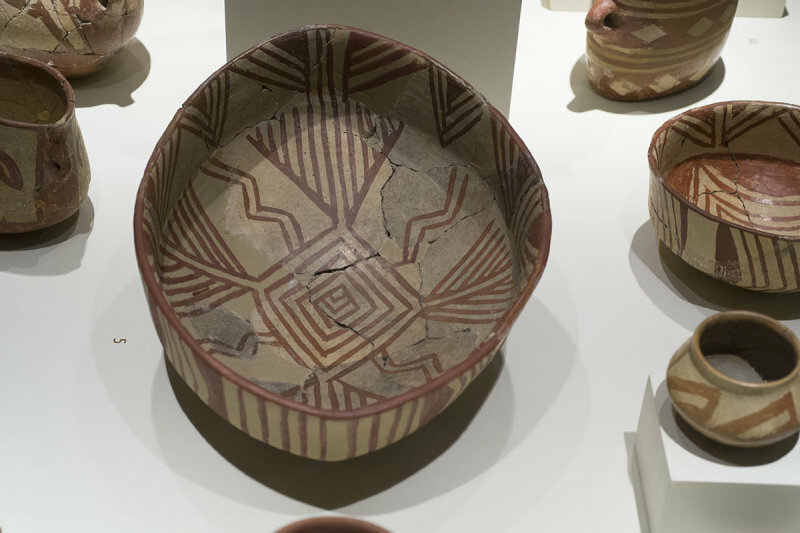 This type of pottery, which is decorated with broad geometric motifs, was excavated in Hacılar (layer) II, and dated 5500-5200 BC (the second half of the 6th millenium BC is in Anatolia the beginning of the Chalcolithic era). Source: ‘Anadolu Uygarlıkları’ (Anatolian Civilisations) – Prof.Dr. Ekrem Akurgal.